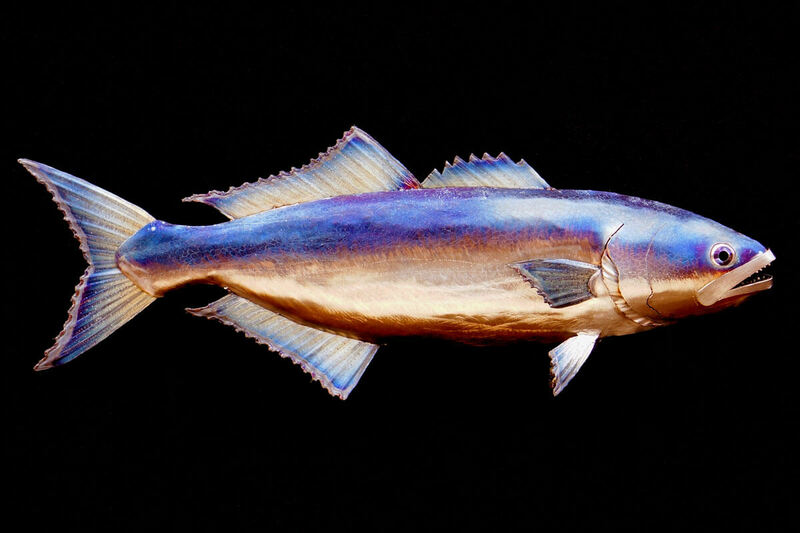 This metal bluefish sculpture is wall hanging and is made entirely of stainless steel. My step father and a crew of his friends have been going surf fishing in the outer banks of North Carolina every fall for 30 years or so. 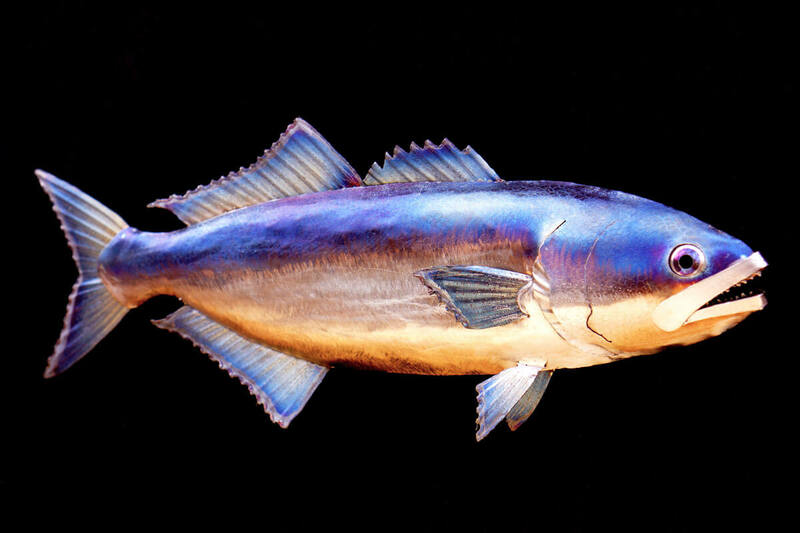 I have had the opportunity to tag along a few times over the last 10 years and one of the most common fish we catch is the bluefish. They are fun, strong little fighters with razor sharp teeth. So when I was approached by my friend to create a small bluefish sculpture for his daughter I was excited to have the opportunity to create one. With this fish I created a subtle scale pattern that blends in with the background color to add a bit of depth and texture to hopefully make it feel a bit more alive. I also decided to make the signature little silver teeth as it felt like an important detail! This sculpture is safe to be kept outside. 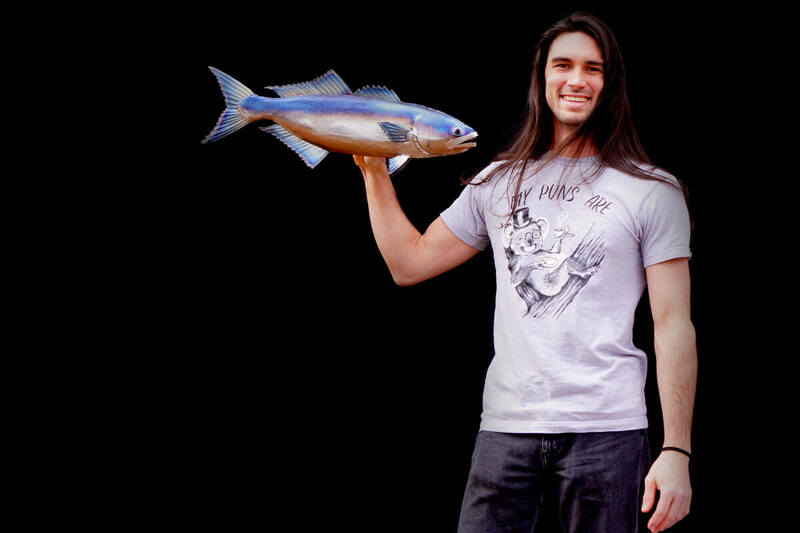 Artist Aiden Dale with his metal bluefish sculpture. 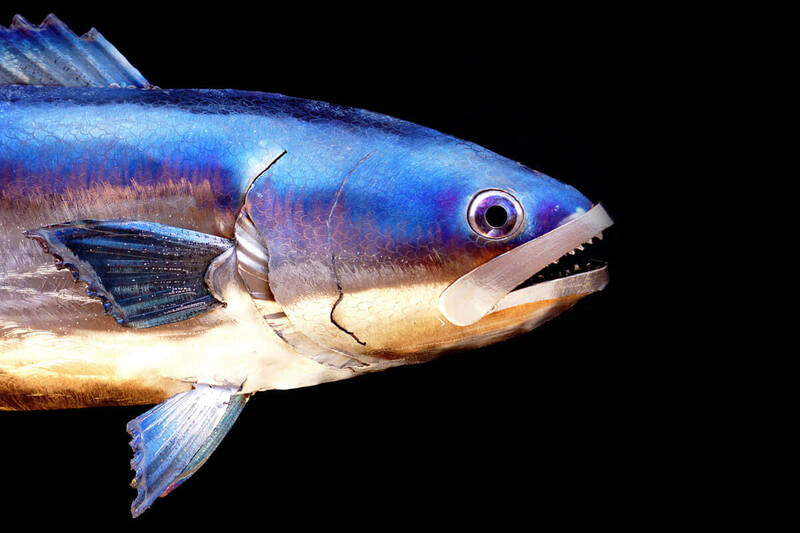 Close up of bluefish head. 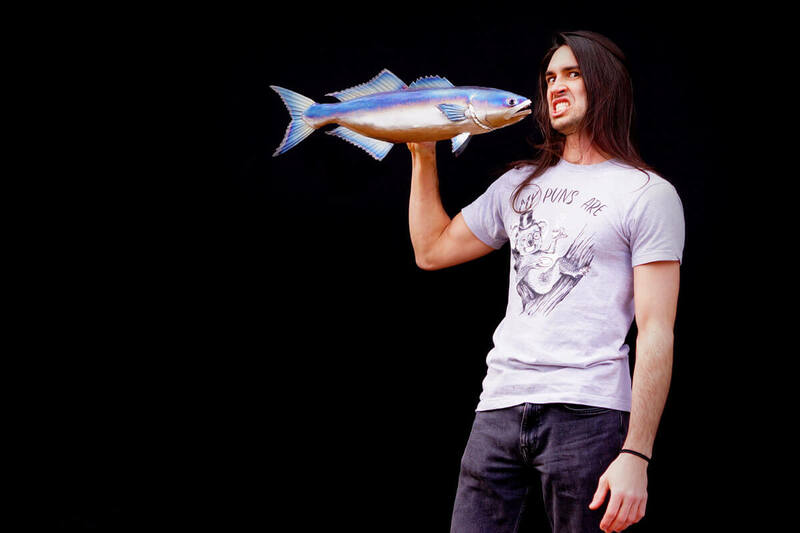 Artist Aiden Dale gettin toothy with his bluefish sculpture.